On July 5, Diabolical Records celebrates its second-year anniversary. Their existence in Salt Lake City has made a remarkable impact on the music scene—both as a record shop and the hottest new all-ages music venue. 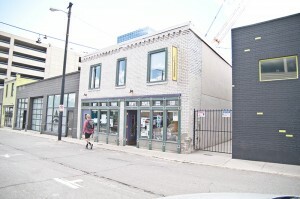 Diabolical Records first opened its doors at Granary Row in 2013 and quickly attracted a following, and after Granary Row ceased operating for the winter, Diabolical Records moved to its current location at 238 S. Edison Street. There, Adam Tye and Alana Boscan began infecting the public with solid and infectious grooves. “I think it’s been a really good location for a lot of our customers that do reside Downtown,” says Boscan. On the record store side of things, Diabolical Records boasts an impressive display of records. It is a collection that has grown considerably over the last two years. They have maintained relationships with distributors like Red Eye and Forced Exposure, and when possible, like to work directly through bands’ labels. Diabolical Records carries all sorts of genres for all sorts of record enthusiasts. “It’s just a matter of knowing our audience,” says Tye. “If it’s an Elton John record, we’re going to end up sitting on that for a while. If it’s a Ty Segall record, it won’t make it out of the new arrival bin.” Diabolical also has an impressive local artists rack, and according to Tye, Bat Manors’ and Baby Ghosts’ records have sold pretty well. He also points out that most local records sell to out-of-towners rather than to local Salt Lakers. 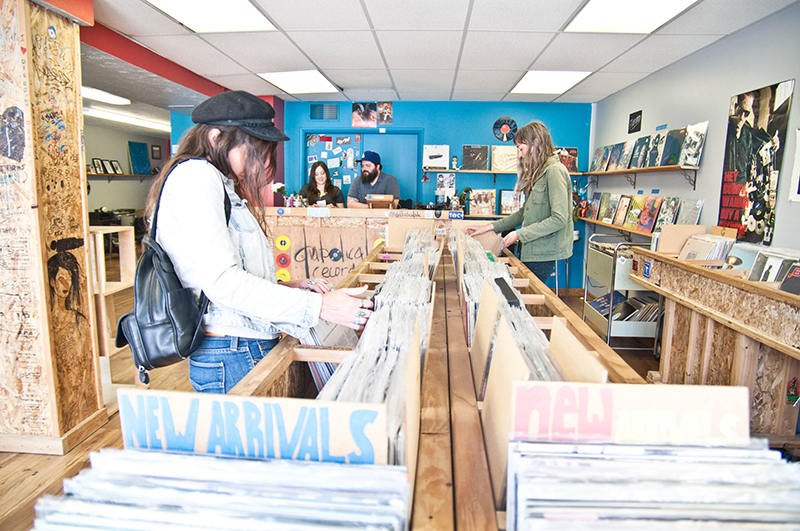 Pushing the record stacks aside at night and welcoming in Salt Lake’s diverse array of twisting-and-shouting hip weirdo types, Diabolical Records has hosted numerous gigs over the last year and a half. These gigs are intimate experiences that put show-goers on the same level as the band they have come to see. Diabolical Records has been a favorite for local groups like Koala Temple, Swamp Ravens, Chalk and Foster Body—who will be producing a record on Diabolical’s label. Apart from these revered Salt Lake darlings, Diabolical Records has also welcomed notable touring acts through their doors, such as Mr. Elevator and the Brain Hotel, Shivery Shakes, The Harms, Kepi Ghoulie, Pookie & the Poodlez, Radioactivity, Los Cripis and Ex-Cult. Tye and Boscan book most of the shows, which are prospective gigs that they personally like. Tye says, “It’s us that books the shows, and we have certain people that we know that if they come to us with a show, we’ll help them set it up.” There is an ever-increasing network of bands who have an interest in playing the shop. Diabolical Records acts like a sort of oasis for groups going through Salt Lake who have not been able to get booked at venues like Kilby Court or who are not as well known and fill a special niche. Bands will usually contact Tye and Boscan through Facebook and email, or sometimes Tye will check touring bands’ schedules to see if they have a gap that can be filled. Tye says, “I’ll hit them up, and just be like, ‘Hey, I see that you’re coming through,’ and give them the whole pitch and try and set up a show.” To support touring acts, Tye has emphasized a minimum of a $5 donation. 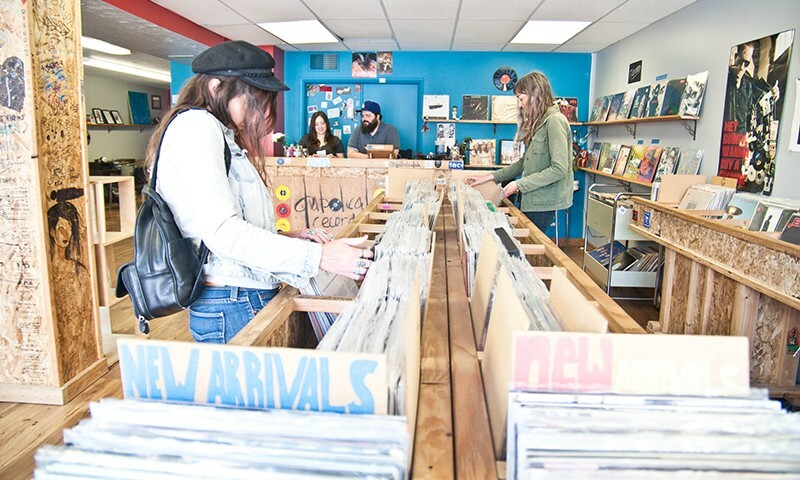 Diabolical Records attracts a wide variety of people looking for new and upcoming underground local and touring acts. Once one goes to a few gigs, it is very easy to be swept in among the regulars who hang around the shop. 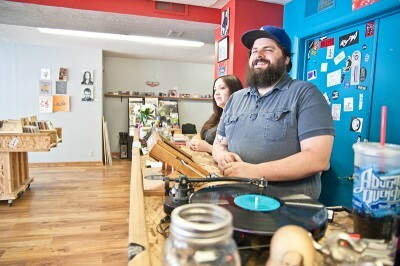 So, dig Diabolical Records, as this shop represents the changing face of Salt Lake’s Downtown—you won’t regret it.